Many World of Warcraft gold and item sellers will now have to find a new way to peddle their goods, with PayPal recently taken out of the equation. 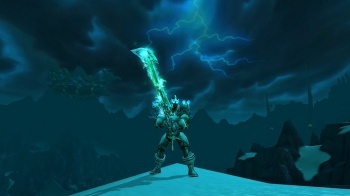 Blizzard is well-known for taking on those that engage in actions involving World of Warcraft that it deems harmful. One of Blizzard's toughest fights might be with gold and item sellers, who always seem to find a way to get past Blizzard's in-game defenses. Now, Blizzard has taken the fight to the real world. Blizzard might not be able to stop the flow of virtual currency and items from gold sellers to World of Warcraft players, but it can stop the flow of real currency from players to gold sellers. It recently filed a series of complaints with PayPal alleging that certain accounts related to item selling and other transactions were violating Blizzard's intellectual property. In turn, PayPal notified the accused account owners saying that they had to "remove all World of Warcraft merchandise" to comply with policy. PayPal is giving the owners a chance to either prove their innocence or stop selling virtual products and services. Virtual goods will always be offered in exchange for real world currency in just about every commercial MMO, but if those that sell them against a developer's wishes can't easily take funds from their customers, the act becomes a lot more challenging. PayPal is widely used in the virtual goods trading industry, so Blizzard smartly took the right avenue if it wants to put an end to the practice as best it can.